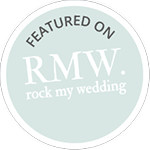 While they are waiting for the bride to arrive at the ceremony, we play beautiful, relaxing music to calm everyone’s nerves (especially the groom’s) and provide a focus during those nervous moments before the ceremony. 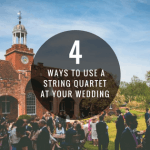 During a drinks reception, we provide a source of entertainment and interest for people (“did you just hear the string quartet play Foo Fighters?!) and we know we can get guests excited by our music. During a dinner party, we provide a wide repertoire that means there truly is something for everyone. So, in a wedding ceremony, everyone does it a little differently. Some brides like to have their bridesmaids go first, others like to have their bridesmaids behind them. Some brides go really fast up the aisle, others take their time. We are able to time the music very easily through being present, experienced and attentive to the ceremony. It does not sound like the music is cut off, or faded out. We’ll find a good point in the music to cadence perfectly so that it all looks planned and in order! Read more in our blog article here. 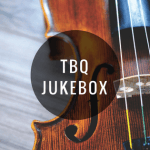 Our repertoire list is seriously massive, have you seen it? There’s a reason we have to cart around 2 big suitcases of folders to weddings – we have so much! 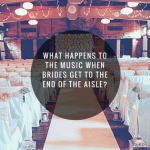 Even still, we love arranging new pieces of music to suit the bride and groom’s music choice perfectly. 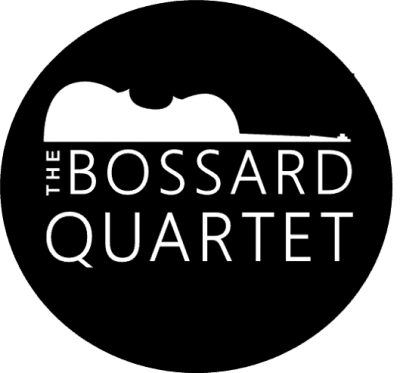 Everyone has their own “special song” and we are able to arrange it for you, for string quartet, especially for you! 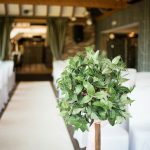 After your ceremony, we’ll judge the feel of the room and tweak and play a repertoire that is guaranteed to make the environment perfect for your wedding. We’ll judge by people’s responses to us whether our repertoire is hitting the mark, and tweak accordingly. It’s what you are paying us for, and it’s one less thing to think about. 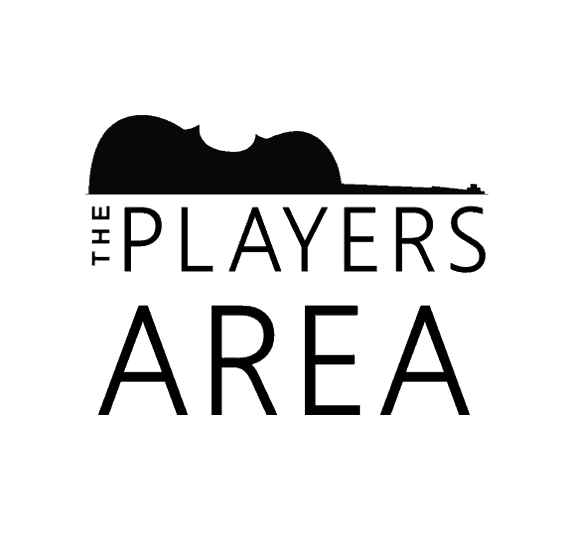 Naturally, many couples give us guidance on what they’d like us to play, and if there are any special requests. All is great with us! It’s just us and our instruments. No need for electricals, plugs, PAT Insurance. Just beautiful, live, easy music. Honestly, what is not to love about all of the above? 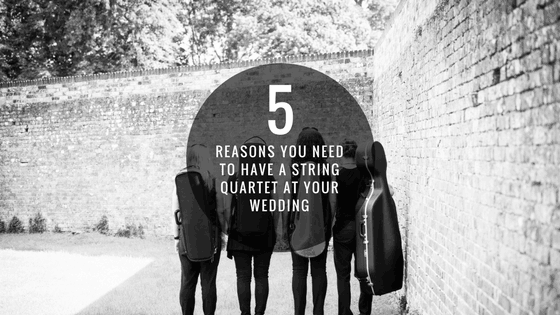 We love playing at people’s weddings, it is a great honour, and in all seriousness we could come up with way more than 5 Reasons To Hire A String Quartet, but we’ve tried to stay focussed and tell you what you really need to know!